The trend in baby naming took a shift of biblical proportions in 2013, with “Noah” moving into the top spot for boys. It was the first time a name other than “Jacob” or “Michael” has been No. 1 since 1960. “Sophia” remained the most popular girls’ name for the third year in a row. Another surprise for boys’ names was Liam, which rose to No. 2 in 2013 after just entering the top 10 the previous year. The only surprise with top girls’ names this year, she notes, was that there’s been very little movement. In fact, the very same 2013 monikers — which include “Emma,” “Olivia” and “Abigail” — made up the top 10 in 2012, in just a slightly different order. 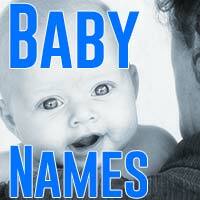 Other news from the Social Security Administration, which has been compiling baby-name rankings since 1880, include data on the fastest-rising names — the No. 1 of which for girls is “Daleyza.” That’s clearly due to the popularity of the Spanish-language mun2 “Larrymania” reality show, on which star Larry Hernandez has a daughter with that name. The fastest-rising name for boys? “Jayceon,” which is usually pronounced “Jason,” and was inspired by rapper Jayceon Taylor. But, Wattenberg says, it also nicely illustrates — as do names such as “Jaxen” and “Jaxson” — the growing phenomenon of parents using creative spellings as a way to stick to popular sounds while also being unique.